This is one of those long term, open ended projects that who knows when will get done. I've been cutting new corbels on my scroll saw. The old ones came from the back porch of the old house on our vacant lot. 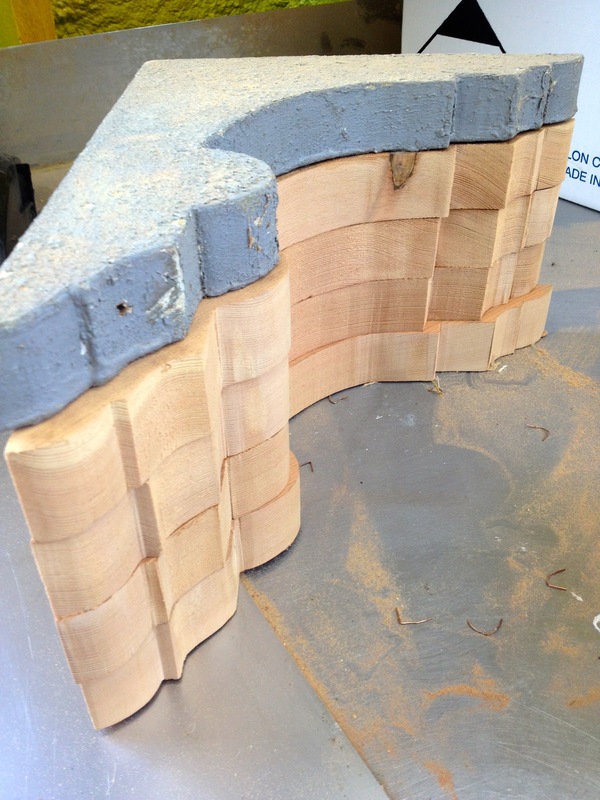 I used them as a pattern for my island corbels, just shortened them. Now I need 12 new corbels for my shelves on either side of the kitchen sink. Here is a picture of the blank wall space. I want three shelves with the top one running along the top of the window trim. We didn't put extra backing behind the sheetrock so it will be challenging to get the shelves mounted properly. But, someday, I fully expect to have beautiful, open shelves to finish off the kitchen! Those will look great!! When we redo our kitchen, someday, I want open shelving too! !